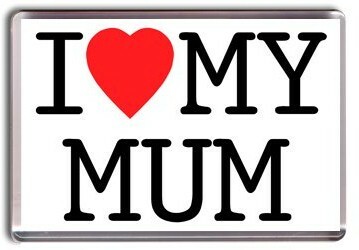 This is a re-posting of a blog by @BigBlueCuddle they aim to build a collection of quotes from people: ‘What does your mum mean to you?’ some are sweet, some are funny, some are poignant. Read on and send them yours! As most of us are about to indulge in breakfasts in bed, bouquets of flowers and hand-made cards, we would like to celebrate not just you, loving mothers of young little things, but also your mothers, with a collection of quotes.Tell us: what your mother means to you now you’re raising your own children? We’ll collect the quotes and post them, anonymously, on our Facebook page and on Pinterest. The author of the quote which has received the most likes by Tuesday March 20th WINS a product of their choice from our store. All tricks you, and your mum, might want to pull to get people to like your quote are allowed! We’ll assign them a number, so you can direct people towards it. Furthermore we’ll give everybody who has entered, and their mother, a discount code to use in our store. Go on, what you are waiting for? Email your quote to info@bigbluecuddle.com making sure you also give us your mum’s email address – so we can send her the discount code too. If you like you can also post them directly on our Facebook wall (we’ll repost them). We’re really looking forward to reading all the wonderful things you have to say about your mothers and to assemble what hopefully will be a multifaceted take on motherhood.